With Doctor Strange hitting theaters tomorrow with a whole new host of heroes and villains we’re looking back at the Marvel films that have lead to this point. Despite being arguably the most successful film franchise since Star Wars, the Marvel Cinematic Universe has frequently been criticized for its lackluster villains. This is, however, a testament to the strength of their hero characterizations. Each main protagonist (or protagonists) has undergone some sort of overarching change throughout the series. At the same time, it’s often at the expense of their adversaries. The rare exceptions, namely Loki and the Netflix villains, had the advantage of development over longer stories. The rest of the rogues’ gallery in the MCU are seemingly one and done supervillains designed to get the ball rolling for their nemesis. From many detractors, the most common complaints towards the villains are either their lack of development or their simplistic worldviews and goal. Iron Man 3 is the exception because the promised villain was actually a red herring designed to throw off expectations. The Mandarin, arguably the most well-known Iron Man antagonist, was revealed to be a patsy for the true foe. Although this decision has been lampooned by fans, I welcomed this change. In fact, I consider Aldrich Killian to be the best villain to come out of the MCU. He’s also one of the biggest reasons why Iron Man 3 is my favorite MCU film. Why do I feel this way? I came up with four key categories to help explain my reasoning. In all three of the Iron Man films, the antagonist is somehow a dark reflection of Tony Stark himself. All three villains have also been somehow wronged by the Stark name. Obediah Stane, who was passed over by Howard Stark for control of the company in favor of Tony, represents the path Stark was projecting towards if it wasn’t for his capture by terrorists. Stane was completely resistant to Stark’s change in heart; all he cared about was the bottom line. Whiplash, who harbors a vendetta for sins committed by the Stark legacy, mirrors Tony Stark from a technological perspective. Both are scientific geniuses with some additional similarities. Both are rather self-centered and individualistic. Both engage in weapon design as a means of profit. Like in the first film, Stark separates himself from the villain when presented with an opportunity for change. Both villains engage Stark by force during the climax using armored suits. Because the man makes the machine, Stark is able to defeat both of them and save the day. Like Stane and Whiplash, Killian was wronged in the sense that he was rejected by Tony in 1999. Many believe this is the sole reason he went on to create the Mandarin persona. I would argue it’s far more complex than a standard revenge plot. Throughout the entirety of the film, Killian never mentions that what he is doing is out of spite. He doesn’t even appear to harbor any hatred for Tony Stark. During his exile on the roof, Killian realized that he was essentially an unrecognizable nobody. That anonymity is the genesis of the Mandarin identity. Because he lacked Tony’s resources, Killian began to then build himself up upon military contracts. It’s here where Killian breaks from the trend of the prior antagonists. Instead of creating another suit of armor, Killian creates Extremis to fix his own physical deformities. Unlike his counterparts, he was able to perfect something independent from Stark’s line of work. Granted, Tony gave the missing link to Maya unaware it would eventually be utilized for military applications. This helps to cement Killian as the founder of A.I.M., setting the stage for his eventual masterplan. In a twist mirroring Batman Begins, Tony Stark learns that The Mandarin is actually a drunken actor named Trevor Slattery. This reveal set the world on fire, angering and confusing longtime fans of the character eager to see a direct translation. While I was thrown at first, I’ve come to appreciate this twist and am thankful that the character was not literally adapted from the page. In the comics, Mandarin is as offensive a racial stereotype as any. Given the world we live in nowadays, this portrayal would be difficult to swallow. This film re-imagines the character while still retaining some of his iconography. Some Asian aesthetics are used during his terrorist videos and he does wear ten rings (a clever reference to his magical jewelry from the source material). More importantly, he’s portrayed as a frightening allegory for modern day terrorism. Many of the best comic book films made considerable changes to the source material. Doctor Octopus in Spider-Man 2 was given far more characterization than his entire 50 year printed history. Ra’s Al Ghul trained and mentored Bruce Wayne in Batman Begins. I believe that a film can and should make changes to the material provided that they work within the context of the film they’re making. 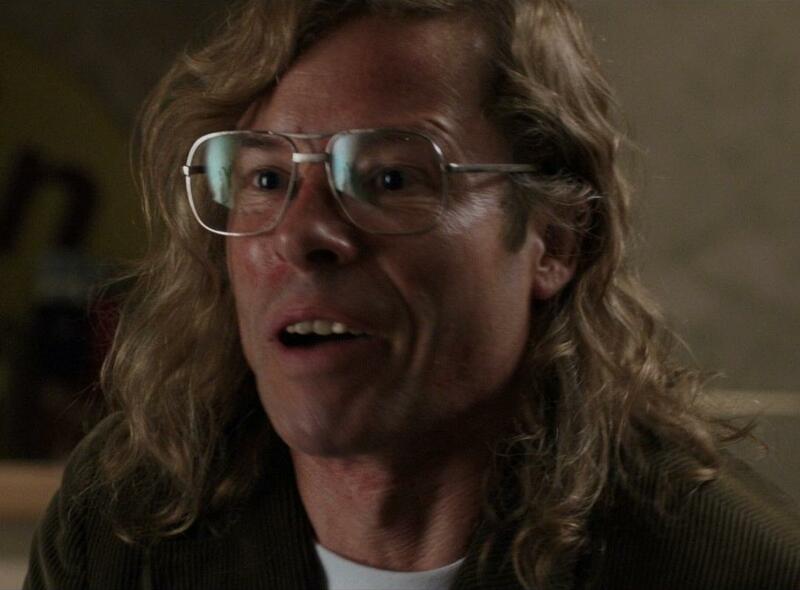 In the original Extremis run, Aldrich Killian was a mere plot device. In Iron Man 3, he is reinterpreted as the central antagonist and a foil for Tony Stark. Not only that, he’s also as much the villain for Pepper Potts as he is for Tony. That’s a topic I will discuss in a little bit. Throughout the MCU, many of the villains have suffered from simple aspirations that fit one of two categories. Most villains either want some all-powerful mcguffin (Malekith, Ronan, etc.) or to alter the world to fit their ideals (Ultron, Red Skull, etc.). Killian’s scheme is the most sinister and surprisingly detailed villain scheme I can think of in a superhero film. As Killian tells Stark, “The minute you give evil a face, you hand the people a target.” Through the Mandarin, Killian can take credit for Extremis related explosions by disguising them as bombings instead of technical failures. Terrorism creates a sense of fear and forced responses, which provide big business boosts for military contractors. His profits would be further boosted by installing a sympathetic puppet Vice President by assassinating President Ellis (William Sadler). Killian’s entire scheme reinforces modern day sensibilities, as many believe the “War on Terror” was begun under false pretenses. Killian’s usage of veterans as ticking time bombs is also an incredibly dark move for the MCU. All of Killian’s soldiers were essentially guinea pigs seeking restitution for what they lost in combat. This provides a point of comparison for Tony Stark himself. Stark’s post-Avengers trauma has given him a severe case of PTSD throughout the film. I mentioned earlier that Killian is as much Pepper’s villain as he is Tony. At the beginning of the film, Pepper mentions that Killian used to constantly hit on her in the past. While an exact time isn’t explicitly stated, it’s likely that it was before Killian used Extremis to fix his appearance. When he reappears to Pepper and the audience, he’s become incredibly dashing and it seems like Pepper is infatuated. After offering her a partnership proposal, she declines due to the possibilities of Extremis as a weapon. Later on, Killian captures Pepper and injects her with Extremis as a deterrent for Tony. While this initially appears to be a typical “damsel in distress” plotline, it’s carefully woven into the climax. Pepper is seemingly killed after falling into a pit of flames during the third act. Tony’s distraught but nevertheless has to fight Killian, who uses his abilities to their fullest potential. To the film’s credit, Pepper is revealed to have survived and uses her new found power to deliver the death blow to Killian. For the first time in the series, Pepper saved Tony even though he couldn’t save her. This was also a divisive decision but I would like to point out that Killian was seemingly defeated at this point. Even though he was slowly regenerating, it was reminiscent of Jason Voorhees gearing up for one last desperate lunge at the hero. After all, given what Pepper has gone through in this series, it was about time for her to get some sort of retribution. Although Iron Man 3 is by no means a perfect film, it impressed with the layered characterization given to its villain. 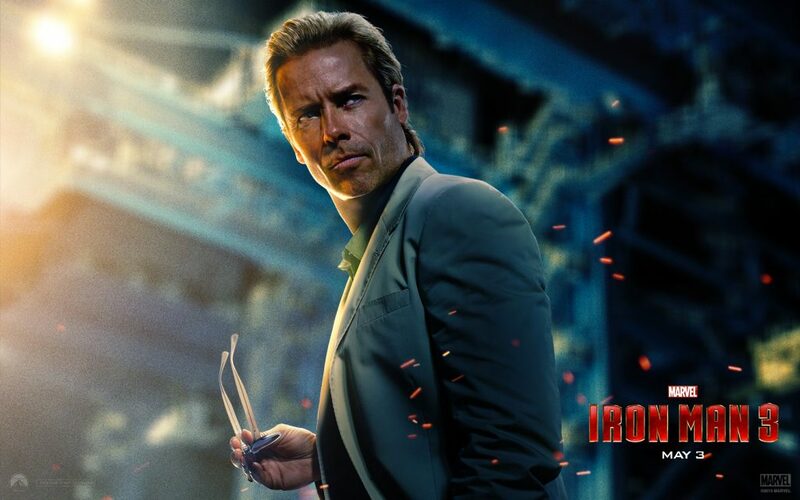 Guy Pearce’s performance was surprisingly menacing when the film called for it, which I can’t say about the majority of MCU villains. He also wasn’t over reliant on quips and catchphrases, further adding to a sense of menace. While he seemingly won’t be seen ever again, I wouldn’t mind seeing Killian return to the series. Given the Trevor Slattery one shot, I highly doubt this will occur. Nevertheless, I would place Killian in the upper echelon of comic book film villains and he’s a big reason why I keep coming back to Iron Man 3. Previous ArticleTV Review: The Exorcist - "Chapter Five: Through My Grievous Fault"